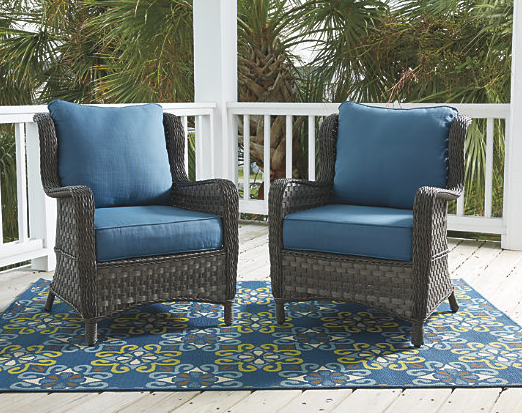 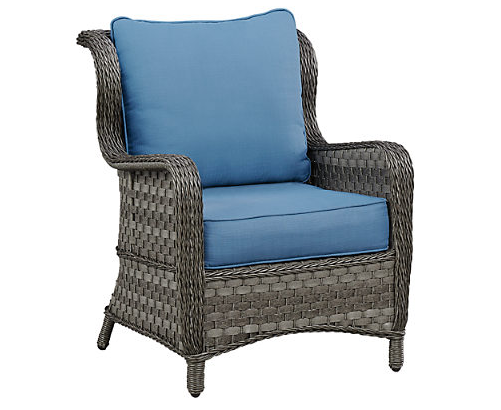 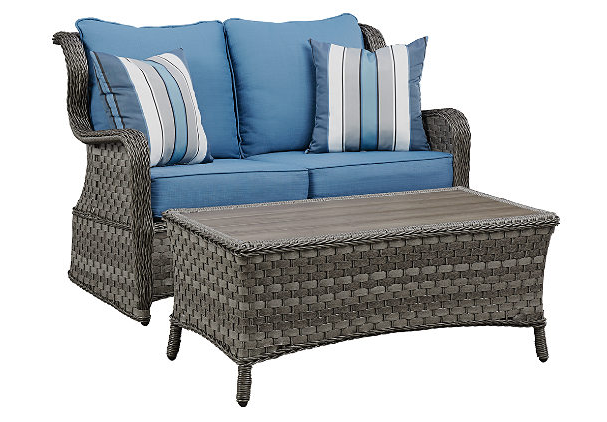 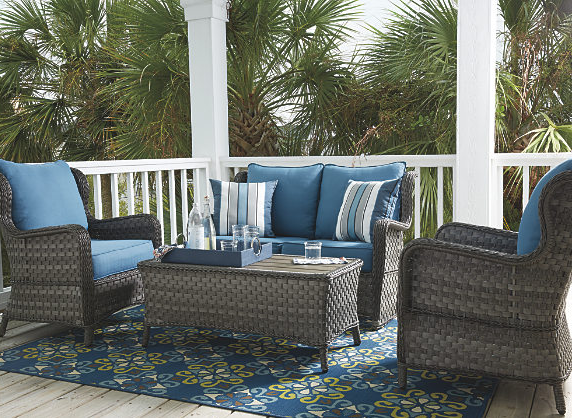 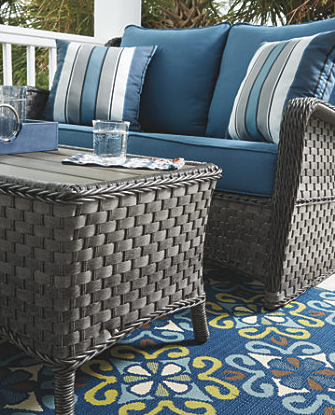 Comfortable and carefree sums up the beauty of the Abbots Court 4-piece outdoor seating set. 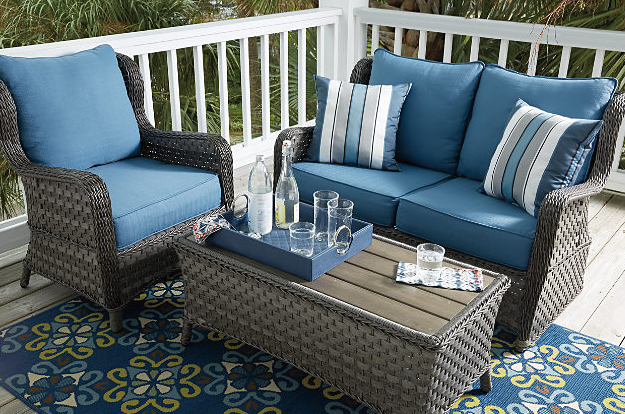 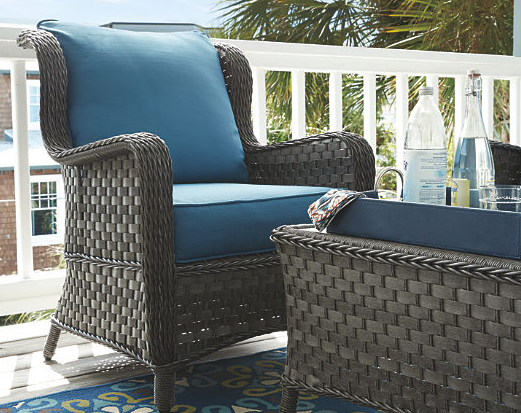 The uniquely woven wicker glider loveseat and lounge chairs are softened with all-weather Nuvella™ cushions, as well as two throw pillows on the loveseat. 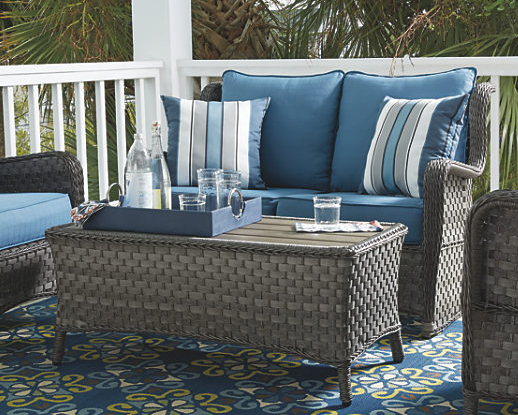 On the cocktail tabletop, planked “wood-look” resin is richy grained and shaded like driftwood.